Full access main compartment with full length opening allowing easy access. Semi-wet zone perfect for damp board shorts. Multiple internal and external utility pockets. Side compression straps + dual carry handles. Reinforced ergonomic lumbar support with extra back padding. 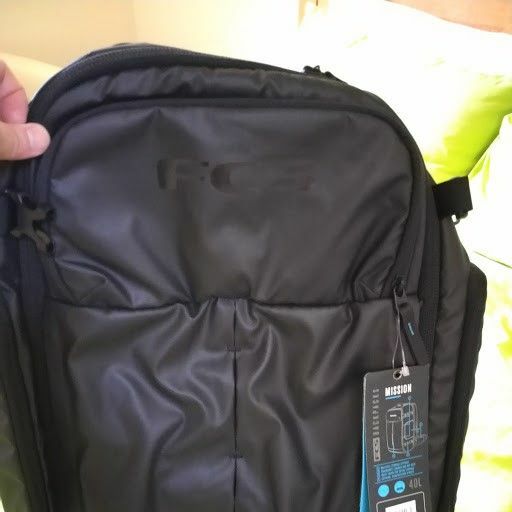 Width: 32cm / 12 3/5"
Depth: 24.5cm / 9 2/3"
Good product, would be better if there was a cover panel to hide away the shoulder and hip straps when you want to carry the bag by hand or stow it away. Could also be improved if the hip belts were removable. Otherwise, I'm very happy with it as an intermediate size travel pack for short trips.